Welcome to the second episode of series 13! We welcome back Devon George to finish creating our Edifice, as well as creating our own characters, for the game, Edifice. A game that Devon is creating and is currently in beta! Welcome to the first episode of lucky Series 13! Today we are welcoming Devon George into the virtual studio to discuss her own game, Edifice, which is currently in the beta playtesting phase! This episode we’ll be discussing the game and start creating our own Edifice. Welcome to the second episode of Series 12! Jef and Jon from System Mastery are still here creating characters with us for Heroes Unlimited 2nd Edition! 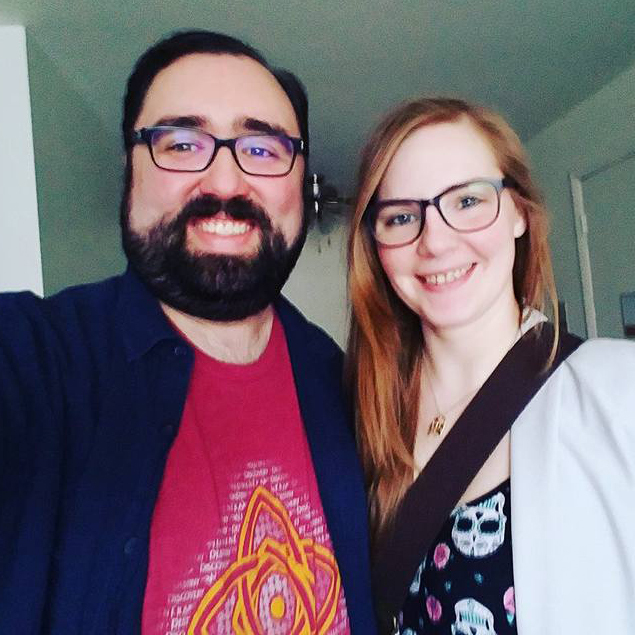 On this end-of-the-year episode of Character Evolution Cast we sit down with Dusty and Mike of the RPG Lessons Learned podcast to discuss how we can improve our games the same way we improve our lives: by acknowledging failures, celebrating victories, and giving open and honest feedback. Welcome to a special holiday episode of Character Creation Cast! In this episode, Amelia and Ryan share some of their favorite cuts from all of their cold open recording sessions! So, come with us, and take a listen behind the scenes on this wild journey through time! Welcome to the final episode of Series 11! In this episode, we will be discussing the character creation process for Blades in the Dark with Rhi, Josie and Minna from the Blades in the Dark actual play podcast, The Magpies! Welcome to the second episode of series 11! In this episode, we will be finishing our characters for Blades in the Dark with Rhi, Josie and Minna from the Blades in the Dark actual play The Magpies!